Moving on from my previous musing I started to read John Berger’s Ways of Seeing. He believes that what we see is processed based on what we already know and that perception can be manipulated by external factors. His television series on this subject can be found here. 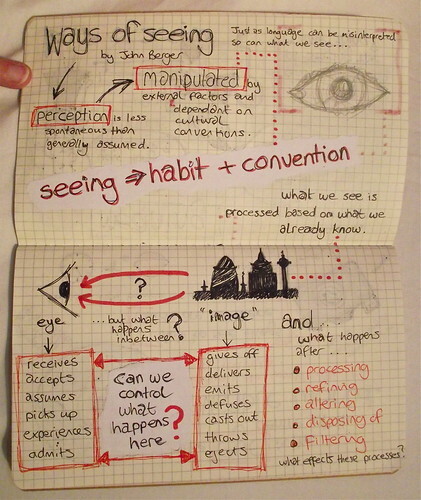 Ways of seeing: How does the eye work with the brain to interpret what we see? This entry was posted in Musing and tagged Musing. Bookmark the permalink.